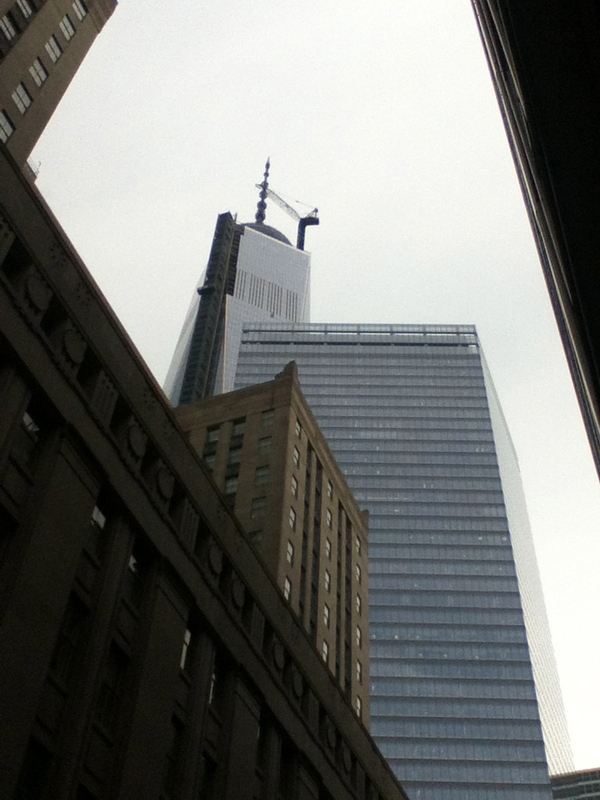 My unwittingly cubist photo of buildings in downtown New York, including the Freedom Tower, was taken during the first part of my recent visit to New York, where I met Deirdre Chadwick, BMI’s executive director for classical music for excellent coffee and a chocolate chip cookie near BMI’s offices in 7 World Trade Center. 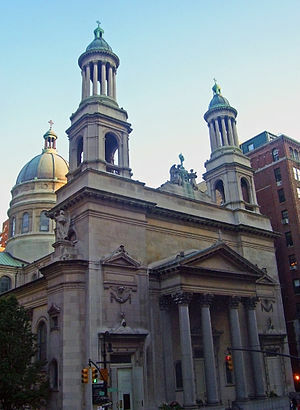 Then it was uptown to St. Jean Baptiste Church for a performance of my motet Salve Regina during the installation service for the parish’s new pastor, John Kamas. Kyler Brown led a lovely performance by the choir of St. Jean’s. One member of the choir is Mary Mackenzie, who will be performing and recording my Sacred Songs and Meditations starting the end of next week. Go here for more on the July 8 concert that will include members of both the Folger Consort of early music instruments, and the modern instruments of the 21st Century Consort. 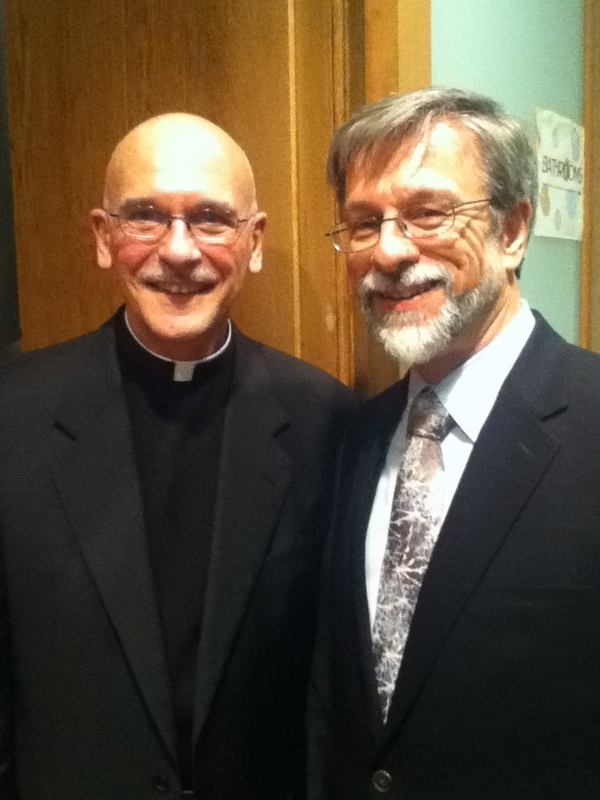 Here’s a picture of me with John, the new pastor at St. Jean’s.